Many synthetic corks are made out of plastic #7, but unfortunately are too small to be recovered by sorting equipment, so they go in the trash. 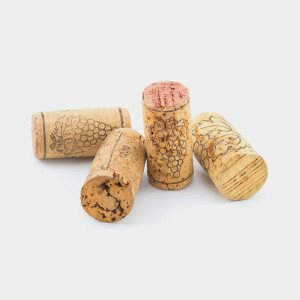 You can compost natural corks, but they will take a long time to break down unless you break them up into small pieces first, or even better, run them through a blender. The Cork Forest Conservation Alliance collects and recycles natural corks in dropboxes in many Whole Foods stores, as well as other retailers. Find a dropbox here. ReCORK collects natural corks so they can be reused in packaging and products such as cork shoes. If you have 15lbs of cork or more, mail them in with a free shipping label. Or find a nearby dropbox. Break up a wine cork and add the pieces to the soil of your potted plants to reduce the rate of water evaporation during hot summer days. The myth of the endangered cork tree has become so popular that consumers have made a major switch to buying wine bottles that don’t use cork stoppers. But it’s the switch that’s actually harmful: cork trees are renewable, and cork forests support a high level of biodiversity. Without interest in the cork industry, these forests aren’t being protected. The World Wildlife Fund recommends always purchasing wine with natural cork stoppers. Find out more about the effort to save cork trees.